It was back in 2004 that Facebook was first launched and “The Social Network” movement began. Since then, social media has come a long way. Now, as opposed to just a social interaction platform, social media sites can serve as a valuable lead gen nurturing force. Today, over half of search interactions take place on mobile devices (56%)! Of that majority, nearly 78% of those interactions either begin, pass-through, or end on a social media site. These channels are rapidly becoming one of the most profitable channels through which we can funnel leads. Instead of relying on social media branding and visibility. It’s time to start using social as a sales force and lead generation/lead nurturing system. The first social media platform we’ll take a look at is Twitter. Twitter is a unique social lead generation platform because it is filled with so many industry thought leaders. Industry innovators turned to Twitter to share and promote their newest and most innovative ideas. As well as collaborate with other experts. For example. 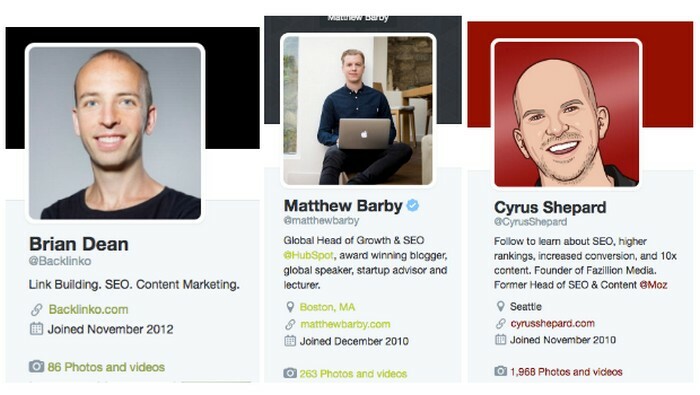 We can see that industry thought leaders like Brian Dean, Matthew Barby, and Cyrus Shepard have all generated large Twitter following based on their influential tactics. Start offering and promoting your own! The first tactic for leveraging Twitter as a social media lead generation platform is to start using Twitter cards for continued promotion of your recent content. Twitter first released the content card option back in 2013. But so far not many marketers have learned how to best milk this promo tactic for every ounce of value it has. Most content marketers create images for a recent blog post and Twitter. Then blast at the ideal post time. It’s a real one and done type process, which leaves room for improvement. Don’t stop after one-off promotion tactics, take it one step further. Instead of stopping after one card, consider creating up 20 unique Twitter cards for the same blog post. Make sure that you vary the snippet of text in each card as well as the visual. This way you can use these cards to send a Twitter blast of the same blog post for the next few months instead of just the first week after your post goes live. That’s some nonstop promotion – which ideally will lead to some nonstop engagement and social media lead generation. You can also create custom hashtags on Twitter to help your branding. Coin original terms, and truly individualise your social media branding. 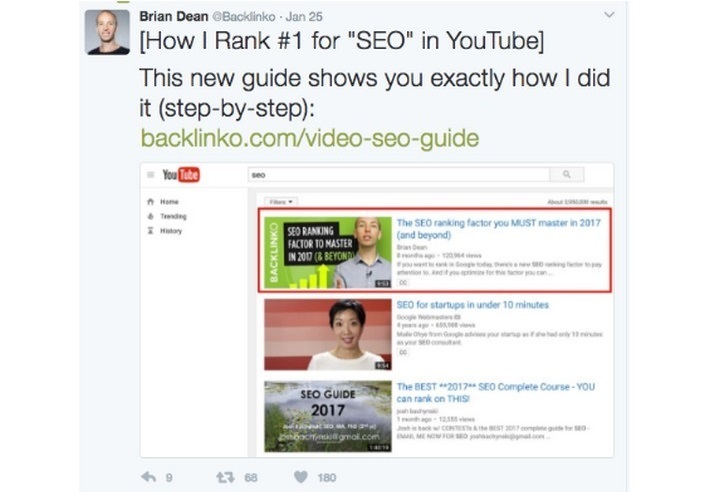 This is actually a fairly well-known link building tactic. For example, Rand Fishkin from Moz successfully coined the term “linkerati” and now all searches for that term are associated with Moz’s branding and thought leadership. The same goes for hashtags. After you create a unique hashtag for your brand and your content promotion, you also need to make sure Twitter users start using it. You can help start viral trends by using your personal profiles instead of branded company profiles. Have your individual team members use the Hashtags with related content on their own social profiles, to get the ball rolling. With any luck, after a few months that #hashtag will start popping up without you posting it. Branding accomplished. I’ve already said that Twitter is the modern Marketplace her expertise. Offering well promoted AMAs, or ask me anything Twitter chats, is a great way to promote your unique brand of expertise. It also brings a real personal, and interactive quality to the social interaction. Successful AMAs can generate some highly qualified traffic flowing through your branded social platforms. Ideally, you will have promoted the AMA on other social media platforms, as well as Twitter, over the past few weeks leading up to the event. People should be clamouring to get their name on the list. Urgency and expertise are two tactics that work very well together when employe in Social marketing campaigns. LinkedIn is also a great social platform to promote leadership as well as Market expertise to other industry professionals. Like most social platforms, LinkedIn has a lot of data on its specific users. Because of this, you can really target how you promote your content and to whom you promote it. LinkedIn pulse has essentially become the blog resource hub professional social mediates. If you want to join the trend, some content marketers have turned to LinkedIn pulse to start reposting their most successful and most niche content. While reposting your content on third party sites can be scary, there are some safe ways to do it. You can check out this post by Neil Patel to see how to repost your content safely, or how to repurpose your content for original new posts. If you don’t feel like reposting content, you are more than welcome to create brand new branded content for your LinkedIn blog. Ideally, you will already have a strong idea of who your niche demographic is within LinkedIn, and will be able to target your content creation specifically to that audience. This way you can build “tribes” of LinkedIn readership that follow the different verticals that your thought leadership is targeting. Another great resource LinkedIn offers to content marketers, is the Showcase page. As opposed to a more regular block format, showcase pages are a gold mine of branding and delight. Essentially, these showcase Pages service resource hugs for your social media profiles. After establishing a solid brand, you can post new blog content, old blog content, infographics, ebooks, and thought leadership from other industry-leading blogs. The point of Peace showcase pages should be to provide the most helpful tactics to your LinkedIn audience, regardless of who it came from. The Showcase page is meant to associate the “helpful advice” with your brand, instead of exclusive expertise. If you want to focus more on your unique brand of expertise, you can use LinkedIn SlideShare instead of Lincoln showcase Pages. These SlideShare’s are a great opportunity to repurpose by their old presentations, old webinars, or old how to guides into more user-friendly content. If you recently spoke at an event and are looking to promote yourself as a reputable thought leader, you can create a SlideShare and promote it only. This way everyone who wasn’t lucky enough to hear you speak can still get the same valuable tactics. 2004 through the next decade, I think we can all agree that Facebook was the winning “social network.” After that first decade spent growing and expanding the different features of the platform, Facebook also became one of the first social platforms to offer audience targeting and branded pages. One of Facebook’s best features at every social media expert should be using, is the lookalike audience Builder. You can either rely on Facebook’s demographics and psychographics to build your original audience, or you can upload an email list that you already have. After that, you can use the lookalike audience Builder to scale up your target audience and match your existing emails to actual user profiles. This is a great way to identify your most profitable niche. Then you can scale up your Outreach and promotion while guaranteeing you target the users. You can check out this post by Directive Consulting to learn more tips on how to use facebook to build a killer brand awareness campaign. Facebook also has the option to create custom tabs on your branded profile. These are really great if you are looking to customise your user experience or optimise towards a specific conversion goal. For instance. If you are looking to build your email list and collect contact information. You can create a custom “get in contact” tab on your Facebook profile. What you offer on the custom tab is specific to what conversion goal you are optimising towards. But regardless, remember that the more customise the buyer’s Journey, the more successful they usually are. Lastly. If you really want to make the most of social media as a lead generation AND promotion tool, make sure you are using Facebook’s autoplay feature. Instead of waiting for the user to quick play on the video. Employ the autoplay feature. Start your micro video once a user scrolls passed on their Newsfeed automatically. This is a great way to guarantee engagements with your videos. But, keep in mind that the autoplay feature does not take audio into account. So, when the video starts playing, your user could very well be hearing nothing. You can solve this by making sure you use captions, subtitles, or text overlay on any video you promote on Facebook. You should also keep these videos fairly short. Newsfeed scrollers are not known for their length of attention span. So get straight to the point within the first 10 seconds of your video. In today’s post-digital marketing world, Omni-Channel strategies are steadily becoming more and more popular. While they require some serious investment and tackling a harsh learning curve, the benefits nearly always outweigh the risks. As today’s users become more omni-channel themselves, we as marketers and salesman need to craft or universal, diverse, and omnichannel campaigns to target the different channels through which we generate leads. Social media is no longer just a hub of branding and interaction. It’s time to start using social media to generate leads, fill your pipeline, and grow your business. I am the Marketing Marketer at Directive Consulting We specialize in comprehensive search marketing campaigns for industry leading B2B brands. For a detailed consultation free of charge, visit my link above. Great article Sean Thomas Martin! I like most the twitter part, thank you for all the tips! Hi Sean, yeah as Bluetecho saidthe multiple twitter cards idea is a good takeaway from this article. How would you apply lead gen strategies to more image based socials like Instagram and Pinterest? Hi, Sean! Twitter multiple cards was a great tip! From beginning to end, I was able to pull pieces from many. Although I have twitter, I am more interested in the imaged based socials as I spend more time on them. This is the great post i am also finding lead generation for social media and now i got great blog thanks for sharing such a informative blog.